Maruti Suzuki Vitara Brezza's cumulative sales cross the 4 lakh mark in a record time of under 3 years. The Auto Gear Shift (AGS) or AMT variant consists of 20 per cent of the units sold. 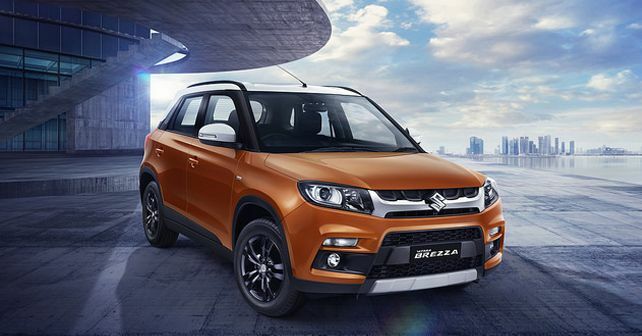 India’s largest automobile manufacturer, Maruti Suzuki, announced that the cumulative sales of the Vitara Brezza have crossed 4 lakh unit mark in a record time of fewer than three years. The Vitara Brezza continues to be the segment leader with a market share of 44 per cent as it fends off competition like the Tata Nexon and Ford EcoSport. The Brezza has also seen a 7 per cent sales growth (year-to-date) and sells a monthly average of 14,675 units. What is interesting to note is that ever since its launch in May 2018, the Auto Gear Shift (AGS) or AMT variant consists of 20 per cent of the units sold. According to the January SIAM sales report, the Brezza is the fifth highest selling vehicle in India and the only compact SUV in the top 10 list. In terms of safety, last year the Brezza managed to secure a four-star rating in a crash test conducted by the Global NCAP (New Car Assessment Programme). It achieved four stars for adult occupant protection and two stars for child occupant protection. Brezza comes loaded with safety features like dual airbags, ABS with EBD, high-speed warning alert, ISOFIX child restraint system, reverse parking sensors and front seat belt pre-tensioners and force limiters as standard across all variants. In this segment, only the Nexon betters the Maruti compact SUV with a five-star rating as it received 5-star adult safety rating by Global NCAP and a 3-star rating for child occupant safety.